When we went to Aus last Oct my son had allergy testing as well. He is allergic to dust mites. So in the hotel, I made a research and found out about Bedbugs barrier. I made arrangement to have it delivered to the hotel. So we were able to take it home. I changed the bed cover and still, he had hives episode. 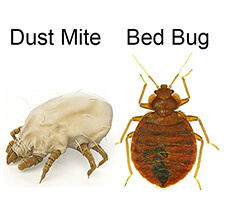 Tony emailed me for feedback regarding my problem only to find out I purchased the bed bugs cover and not the cover for dust mites. He was nice to replace it free of charge and I only paid for the mail. So far, my son does not have hives anymore. Wise investment.